A series with over 1,300 five-star reviews on Amazon. Alone in a foreign land The radio goes quiet while on convoy in Afghanistan, a lost patrol alone in the desert. 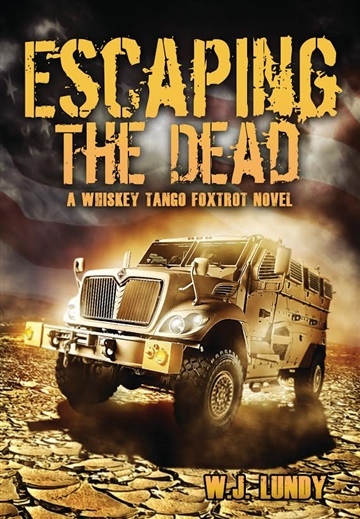 With his unit and his home base destroyed, Staff Sergeant Brad Thompson suddenly finds himself isolated and in command of a small group of men trying to survive in the Afghan wasteland. Every turn leads to danger The local population has been afflicted with an illness that turns them into rabid animals. They pursue him and his men at every corner and stop. Struggling to hold his team together and unite survivors, he must fight and evade his way to safety. "The beginning of a fantastic story. Actionpacked and full of likeable characters. If you want military authenticity, lookno further. You won't be sorry." -OwenBaillie, Author of Best-selling series, Invasion of the Dead.